Our 2 Hour Lock Out Tag Out Training course was designed to cover the current safety training requirements found in the OSHA standard regarding Hazardous Energy Control & Isolation. How injuries occur during servicing? ­When should LOTO be applied? 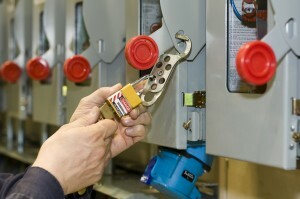 View and use of LOTO devices such as breaker locks, hasp’s, locks, tags etc. At the completion of this training each student will be required to pass a written exam. Each passing student will receive a Certificate of Course Completion and a Wallet completion card.